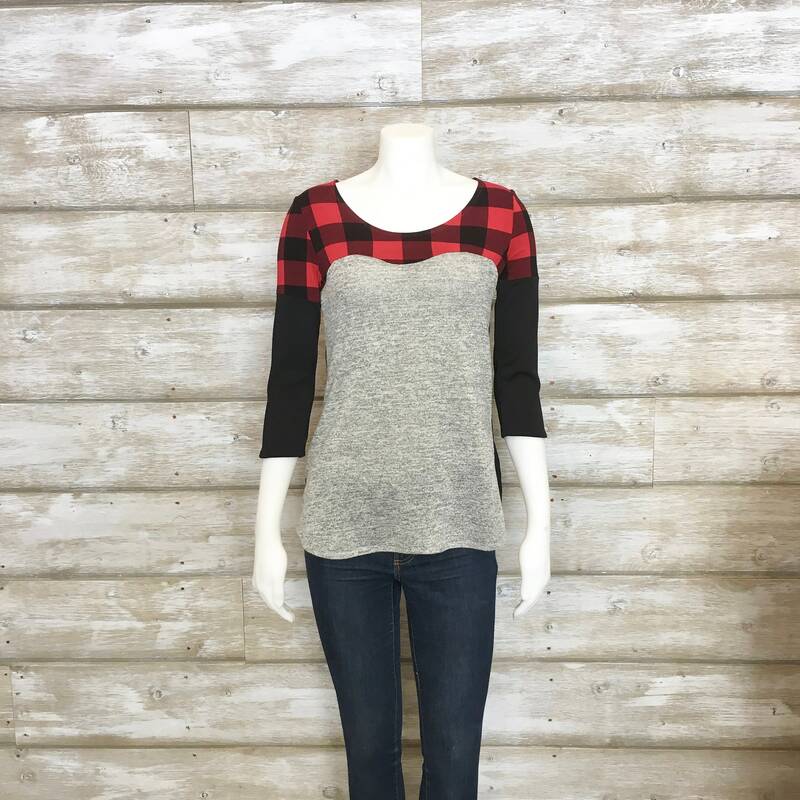 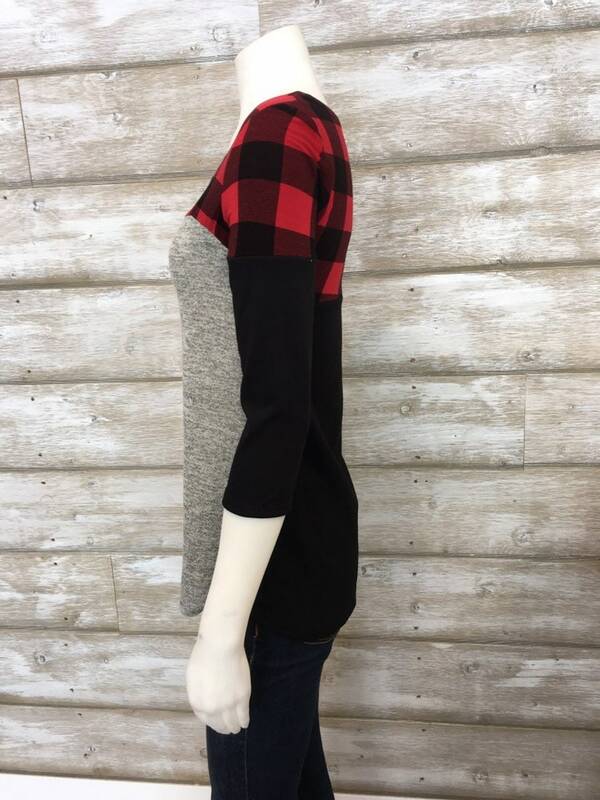 I created this design because I really wanted some 3/4 length sleeve tops for winter. 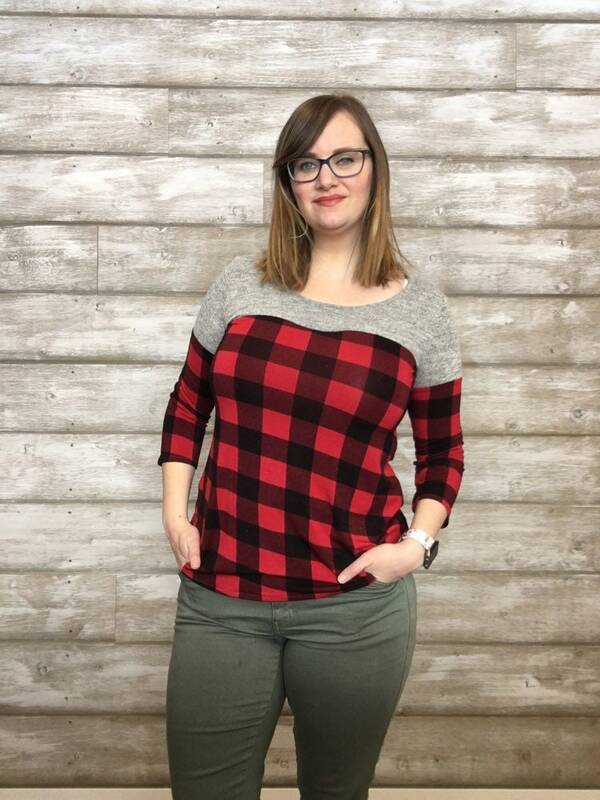 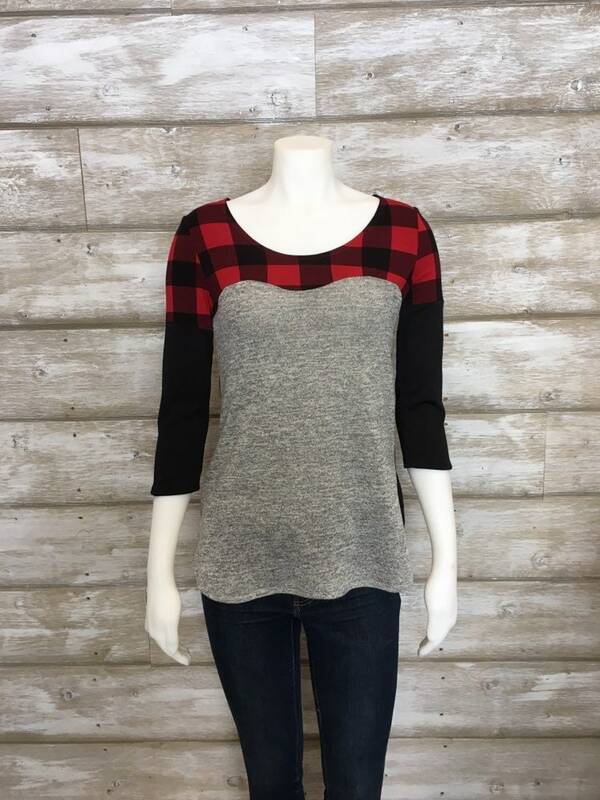 Buffalo plaid just has a cozy feel to it (even in this lovely soft rayon!) 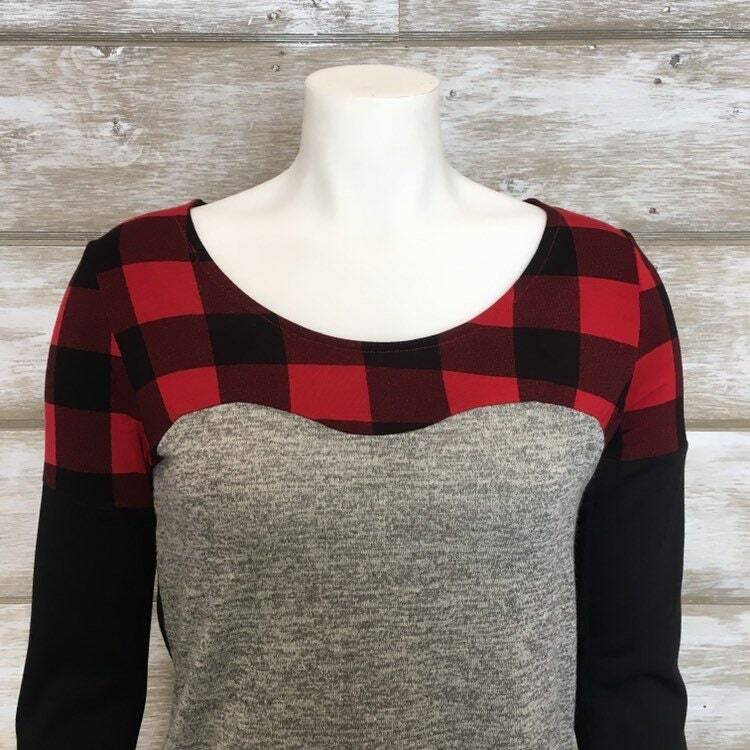 and makes me feel like sitting in front of the fire with a cup of tea! 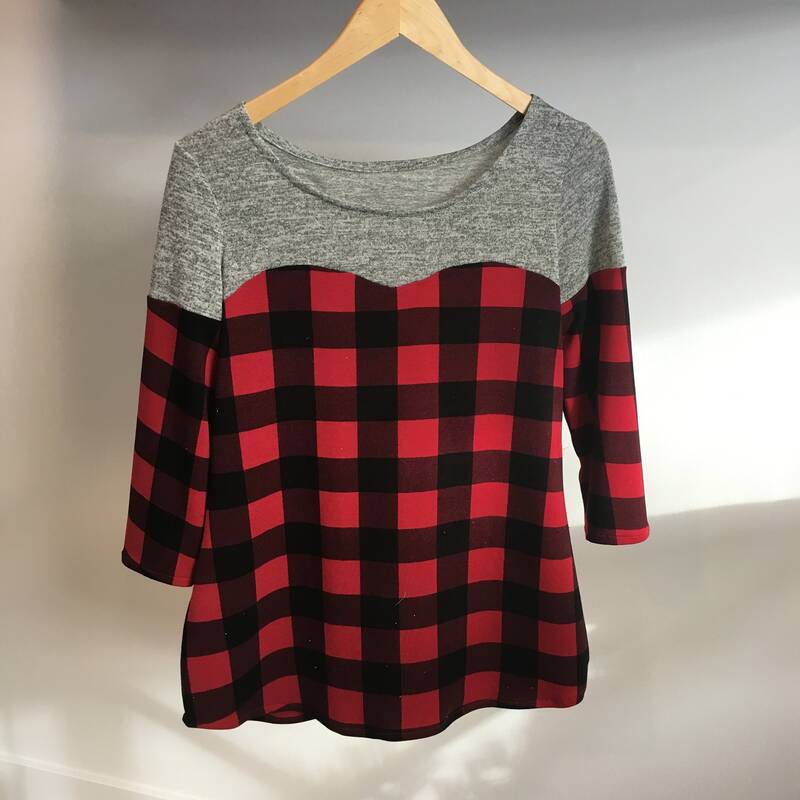 This is a small batch of tops, only what you see is available unless I all of a sudden find more plaid! 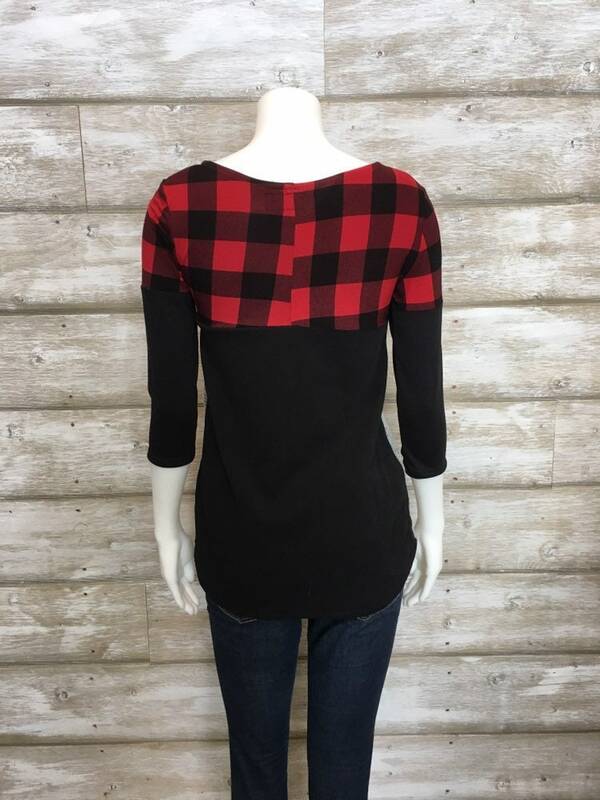 *Model in last photo normally wears size L, 5'8", wearing size Large.